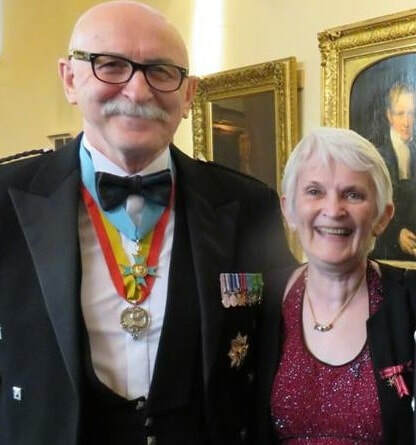 ​The Supreme Council in the meeting of 18 June, 2018 accepted the nominations of Albert and Linda Thomson of Aberdeen to join the Confraternity. Chevalier Eddie Halstead meet with His Eminence Cardinal Burke of the USA. His Eminence Cardinal Burke of the USA, admires the medal of the Confraternity of the Knights of St. Peter & St. Paul.